This matchbox is very historic for me. When I was a kid I remember being told to buy this match. It used to be a match made of wood is very important. Because at that time, kerosene stoves are the most widely used in my country. I do not know that in your country. If now in my country already use gas-fueled stove or LPG. Even so, the match made of wood is very historic for me. And of course the image of this match brand. Maybe in your country familiar with the image of the brand. I do not know what these matches started to be marketed. For that, I created a 3D model in Blender. 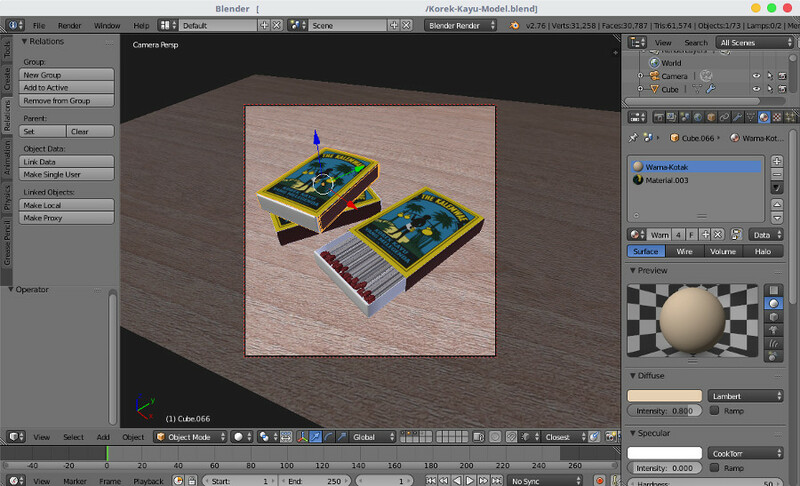 With example image from google, I started to make 3D models of this match. My first step is to design the brand. I made it in inkscape. Which will be used as a texture in Blender. Next 3D modeling in Blender. 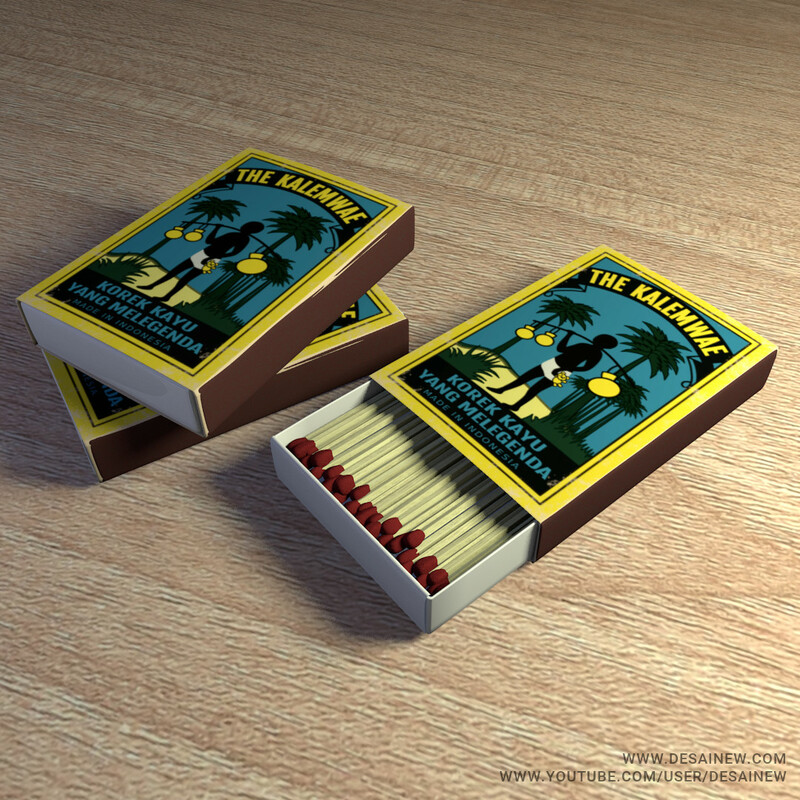 Starting from the packaging, the contents of matches, add texture, adjust the lighting, to rendering. Because I do not understand the Node Editor in Blender. So for finishing, I use Gimp. In Gimp I only do color correction only. Here's the final result. Okay, what do you think? Meanwhile, I did not include the tutorial video. Because many steps. In addition, I still do not understand about the features in Blender. So I'm sorry. Instead I include the source file so you can learn it yourself in Blender. Okay, that's it for this post. If you have any questions. Please ask in the comment field below.